Are you continuing to explore new ways to connect with your customers and clients? We are too! Look for my new podcast, Tricks of the Trade(mark) launching shortly. Because I strive to practice what I preach, I selected a suggestive and creative brand name for the podcast, made sure it was not being used by anyone else, and applied to register it with the USPTO before its public launch. Our clients have been quite busy launching new brands as well - we have already filed more than 70 applications this year! If you are looking at new ways to connect your brands to existing and future customers, let's discuss a branding strategy. 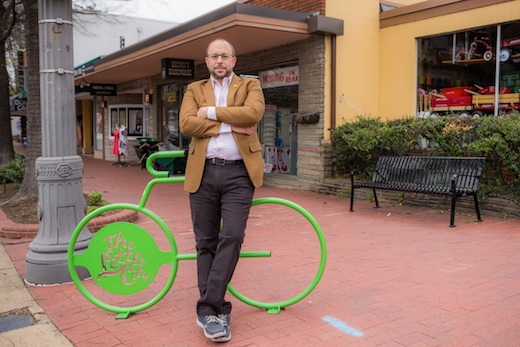 "Trademark protection will cost my business a lot of money, and we can invest that in more important ways." This is a misconception because (A) trademark protection does not have to cost a lot of money, especially when working with a flat fee boutique firm, and (B) the expenses of re-branding, or dealing with a trademark dispute, are far greater than the investment in protecting and building a solid brand foundation, and few things are more valuable to most businesses than their brand. "We didn't protect the trademark when we started, so now it is late." This is merely a myth; it is never too late to seek trademark registration. Yes, earlier protection is better than late - but late protection is better than never! A trademark registration can last for a long time (technically, forever), so it is never too late to solidify the brand's protection. "I have a trademark registration, so I can stop anyone from using the name." A trademark registration is a valuable tool, and can often stop others from using a confusingly similar name. But unless the other business is in your industry and adopted the name after you*, you may not be able to stop them. That is why potential infringement situations should be handled delicately and by experienced counsel. * This is an oversimplification; there is a lot of nuance and the facts of each scenario are unique, of course. I sometimes peruse the USPTO database and skim the most recent trademark application filings. One reason that is to stay on top of trademarks trends; another is to be reminded of how many creative, smart, fun, and interesting brand names business owners are capable of coining. Creative trademarks are everywhere you look, every single day! For a few days, the Retrievers of UMBC (Univ. of Md. Baltimore County) were the darling of the NCAA basketball tournament, when they beat Duke last week and because the first men's 16 seed to defeat a 1 seed. Their brand was not prepared for the success, however. The school had never applied to protect the "Retriever" name. While UMBC still has some rights and some claims against those who seek to make knock-off merchandise, the school will likely now find it harder and more complicated ( and more expensive) to shut down such inevitable problems than it would have been with a properly registered RETRIEVER trademark. The school did file a few trademark applications in the days following the upset, and it is better late than never to apply to register trademarks. But had UMBC been prepared in advance they may have saved a tremendous amount of headaches, expenses, time, lawyers, and brand dilution or damage. Proper brand protection should begin long before a brand gets its moment in the sun; it should begin when the brand launches, or even earlier. 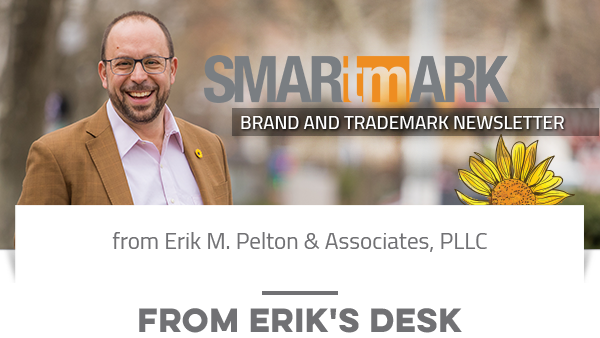 IP attorney Erik Pelton, a pioneer in raising awareness of trademark solicitation scams, pointed out today that the US government's Federal Trade Commission (FTC) latest annual report contains no mention of trademark scams. If there are any topics or issues you would like to see covered here, let us know! This publication has been prepared for the general information of clients and friends of the firm. It is not intended to provide legal advice with respect to any specific matter. Under rules applicable to the professional conduct of attorneys in various jurisdictions, it may be considered advertising material. © 2018 Erik M. Pelton & Associates, PLLC.